This entry was posted in Motion, Photo Challenges, Street Photography and tagged blur, motion, photography, postaday, weekly photo challenge. Bookmark the permalink. super shot. 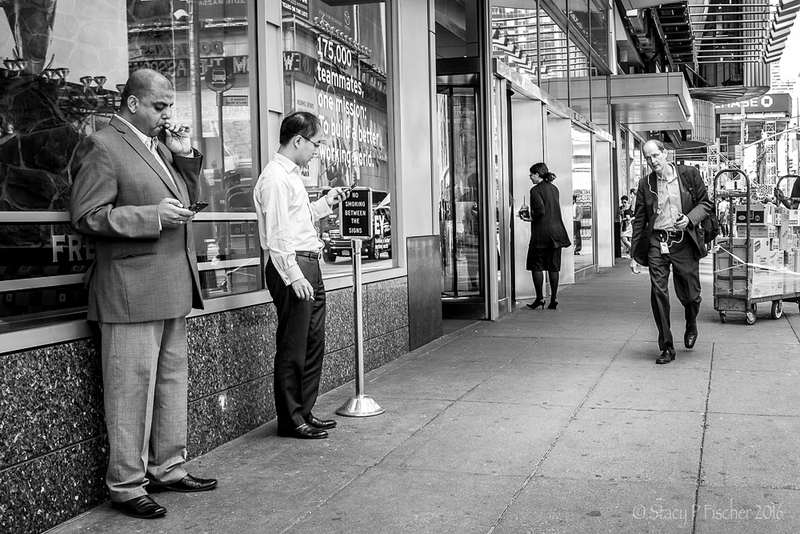 I love photos where some people are standing still and others are moving and blurred! Yup, definitely takes a lot of practice to develop that skill! This is simply perfect Stacy. Well done! You’ve got that right Stacy. Great choice for the challenge Stacy–well captured! Thanks, Lisa. Bet Kelly would like that turquoise shoe too 😉 And thanks for the link to Robin’s post. Very cool photo. I’m going to go back and visit and really look around! Ooh, I like that. I haven’t done that exercise in awhile, i.e. 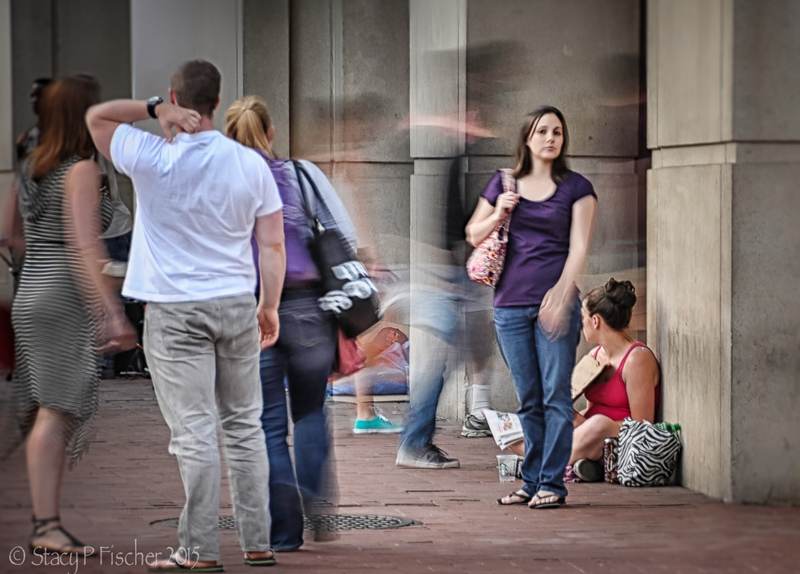 setting a slow shutter speed and getting the whirls of people movement … probably because I am sans tripod these days. But I digress. I like the sense of motion in the picture. Good one. That was great! I love when stuff like that happens and you were fast enough to catch it too. Me, too, Nancy 🙂 Pure happenstance! Thanks! like shimmering ghosts!! Love it! Pure happenstance that the settings and the motion worked out in such a way to end up with this rather cool effect 🙂 Thanks, Luis! Thinks do happen by chance, but I also believe the more you are able to see, the more chances you get. Very haunting, Stacy, but a cool shot. They could almost be ghosts, or a shot of where the past and future collide. Ooh, I really like that interpretation, Hugh. You talent as a writer shines through in your choice of words 🙂 Thanks for a lovely comment! Love the shimmering effect of the passing blur! great image for blur – some people were moving pretty fast compared to others! Those were the ones running to catch the metro 🙂 Thanks, Janice. Love this. More then just blur but really gives a sense of motion. Thanks, Edith. I’ve held on to this image for a bit. I wasn’t quite sure if I liked it or not, but I just couldn’t let it go. It’s turned out to be my most-liked photo, and that’s taught me a lot about what can work in an image!